Thank you to the Greenwith Community, Student Leaders and Mr Raymond for focussing on the theme of “relationships” at the Middle and Senior School Assembly held on Thursday 15 June. What impressed me the most was the message which came via the videos of the student interviews conducted by the teams. I would like to share with parents some of the key ideas the students who were interviewed, identified about the culture of Pedare. know their teachers are fully committed to developing great relationships with their students to enhance high order learning and a culture of wellbeing. As a learning community, we need to maintain our focus on these essential values. We need to continue to say, when interactions between students do not always go right, that we intervene to improve outcomes. The theme of “happy kids being great learners” must remain our Pedare focus. 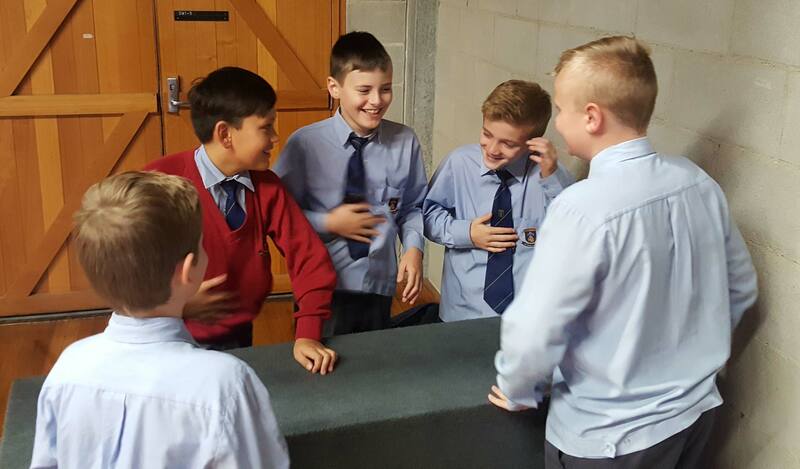 The Junior School Disco, held on Friday 23 June, is only made possible due to the hard work of our Parent and Friends Association who organise this night for the Junior School along with staff who volunteer their time to support. A great example of our community working together to support the children we love and care for collectively. Thank you to all involved, the students once again enjoyed a great night of fun, dance and laughter. The See Saw app has been a very welcomed addition along with the numerous other forms of electronic communication. As always, we encourage communication with our families as we all want the best for the students in our care. While these technologies are useful in our busy lives to communicate, and share experiences with our connected communities, they do not replace the need for personal conversation. 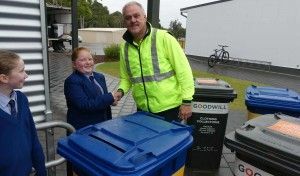 As students transition from controlled devices and as more responsibilities might be given as they head into Middle and Senior School, with all learning, good habits are formed early, and we want to encourage our students to be good responsible digital citizens. As adults, we can provide positive role models on the appropriate uses of technology and what is the best way to communicate in all forms both online and in person. With the internet, mobile phones and social media, discussions can reach a far wider audience than ever before. Social media can provide an enjoyable way to socialise online and keep you connected with what is going on in our school community. As useful as these digital tools are for communication, we want to encourage families to partner with us and believe feedback from our College community is important. If you have a concern, rather than go online, speak directly to your child’s teacher, Coordinator (PA or PE), Assistant Head of School, Head of School or Principal. While these technologies can be great for sharing ideas, and keeping in touch, comments about our school community can have greater impact than expected and comments online can have ripple effects. Avoid posting negative comments that identify the College or individuals. Try not to be emotive or hasty. Keep comments calm and polite. Be aware of what you are sharing and with whom. Get to know social media. Be proactive and if you see something you feel should be removed, flag it. Take a screen capture or print a copy of the concerning online content. Block the offending user.f the inappropriate or negative comments are in regard to the College or members of the College community, you should also contact the Head of School. It is hard to believe that once again another term is drawing to a close. There has been a lot happening in the Middle School and below is just a selection of activities that have been occurring. Some very talented musicians performed for the audience at the Middle School Recital night held in the Wattle Café on Monday 18 June. A big thank you to Mrs Nadine Stroud, Mr Gerald Petherick and all the instrumental teachers who have been working with the students and preparing them to perform. Some very brave musicians and singers put on a wonderful display, from beginners all the way through to highly accomplished musicians. 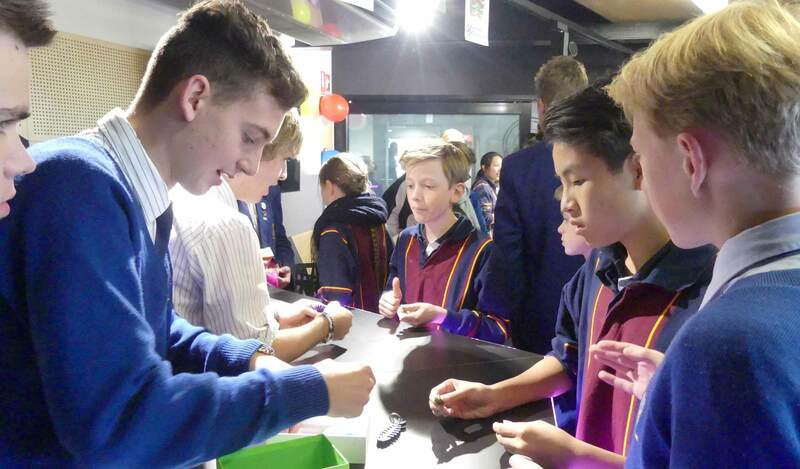 The Science and Engineering challenge was hosted by Uni SA at Mawson Lakes on Wednesday 14 June. The Year 9 STEM class attended as well as a number of other interested Year 9 students. All students enjoyed the challenges presented during the day and learnt a little more about some of the STEM careers that will be available in the future. 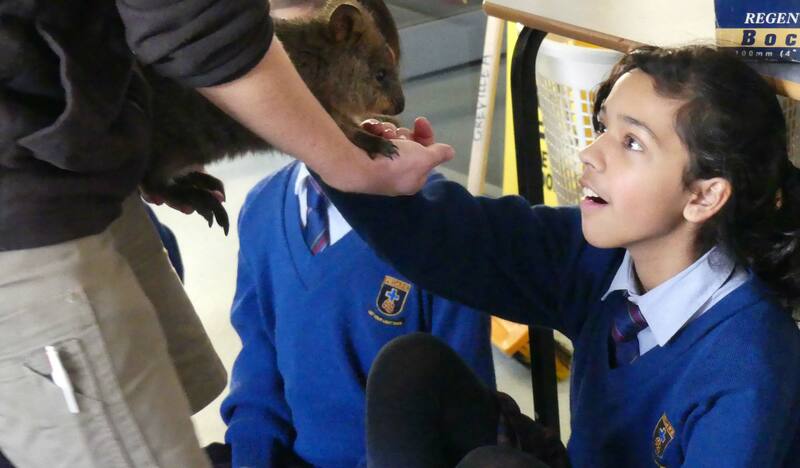 The Year 6 classes were visited by the Adelaide Zoomobile and students were treated to an animal experience. Our Year 9 students were visited by Wilderness Escape to hear about the upcoming camp and all the adventures that await them in Week 2 of Term 3. The students will be involved in activities such as mountain biking, hiking, learning camp craft, survival challenge and more. The challenge of planning, organising and cooking their own meal on one night goes without saying. All consent forms must be completed online and for any further information on the Year 9 camp please contact Mr Michael Secomb at the College. At this time of the term, students are busy finishing off assignments or preparing for upcoming assessments and the College becomes even busier than normal. As I walk around the Middle School, I see students engaged in a wide variety of lessons with lots of activity. It is exciting to see the students presenting oral presentations, planning to run a business, interviewing students for a survey or perform a play. We know students learn best when they are engaged in their learning and there have been many examples of this throughout the year so far. We look forward to the new semester beginning in Week 9 with the changeover of some specialist subjects in the Middle School. I hope students enjoy the final weeks of the term and take a well-earned break over the school holidays. The Semester 1 report will be handed out to the students on the final day of term, Friday 7 July. The semester report will include a comment from each of your child’s subject teachers as well as a progress grade for each of the criteria assessed. For further clarification on your child’s report please contact the relevant subject teacher. The One+ Careers Expo proved to be a valuable learning experience for students and parents alike and I draw your attention to the article that appears in this edition of The Vine. Thank you to Mrs Debbie Hollister for her collaboration with the two other schools to ensure this event’s success. It was a pleasure to attend the Year 12 Music Solo evening as the students each presented several items as the first part of their summative assessment in this subject. They all performed very well and it made for an enjoyable night’s entertainment. We wish them well as they continue to refine their skills as the year progresses. Year 10 and 11 students have concluded their mid-year examinations. Thank you to Mrs Denton-Brown, Ms Reid and to all the teacher invigilators who helped to make the process run as smoothly as it did. Whilst examinations may cause a degree of stress, they are an important learning tool. Hopefully the students were able to demonstrate their knowledge and understanding and have gained some insights about themselves and the process through this experience that will hold them in good stead for the future. The Year 11 students are about to participate in the inaugural Camp Challenge. There has been considerable planning involved to make the experience worthwhile. We look forward to this event and to the feedback and reports that will appear in the next edition. Semester 2 commenced on Monday 26 June, and with it, we hope there will be a renewed focus by students as they begin new opportunities or develop their learning in continuing subjects. 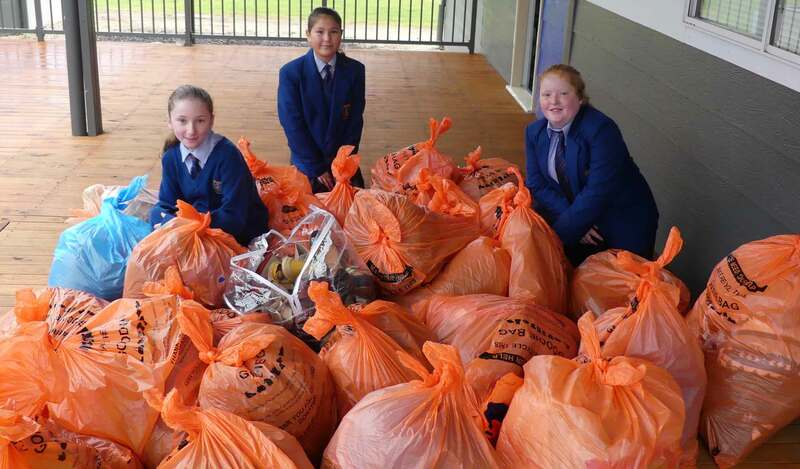 Earlier this term, Chelsea Schar-Grant in 6H launched the action-based initiative which saw students from Year 6 do a clean out of their wardrobes and toy boxes, to provide donations for the Uniting Communities organisation, Goodwill. Goodwill is a not for profit organisation which supports South Australian community services such as Lifeline 24/7 phone counselling. Thank you to the families that supported Chelsea’s initiative, which resulted in over 40 bags being donated to the Goodwill stores. 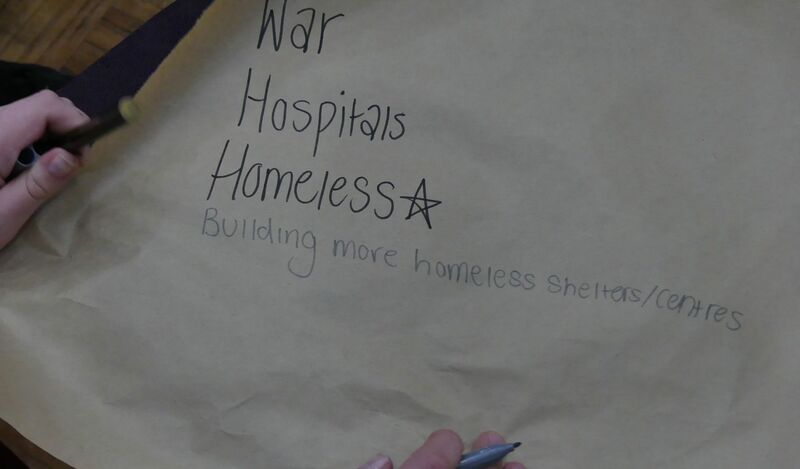 It is great to see our students thinking about how they can make a difference in the wider community. Well done Chelsea. 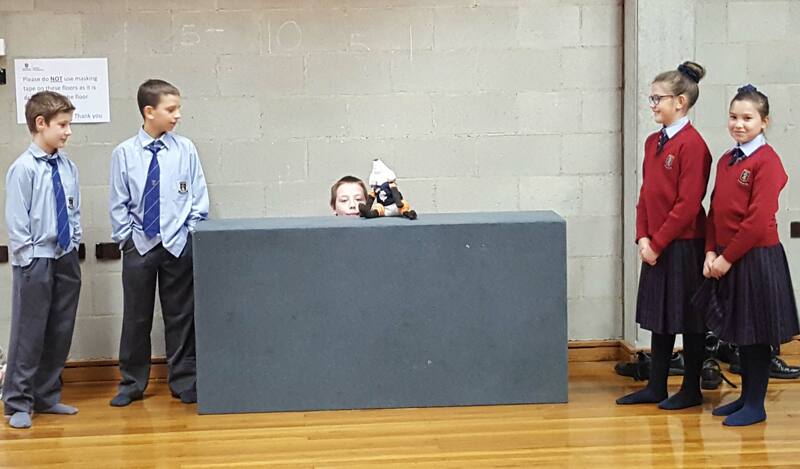 Late in Term 1, some of our Middle School students took part in the Mangahigh Maths Ninja Challenge. The Maths Ninja Challenge is an online challenge where students work through challenges, aligned to the Australian Curriculum, gaining points for each correct answer. The students performed very well in the challenge with the following students gaining certificates and medals. 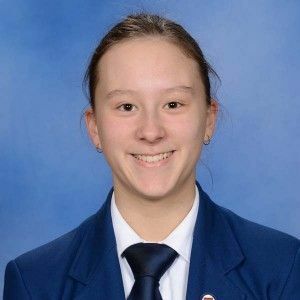 Congratulations to Year 11 students, Sophie Szabo and Amber Roshkov who attended the preliminary finals of the Hanyu Qiao Competition held in Western Australia on 15 and 16 June. The competition includes three sections, which are written test, speech and cultural performance. Sophie won the cultural performance, came 2nd in the speech and came 2nd overall and is now officially eligible to participate in the Hanyu Qiao Competition Grand Final to be held in China in October this year. Amber came 3rd in the speech. This is the second year in a row a Pedare student has participated in this competition. Sophie follows Callum McGing, Class of 2016, who also travelled to China for the competition. 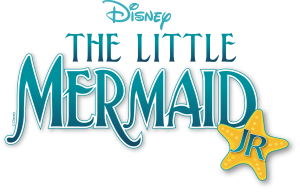 The Middle & Senior School Musical, Little Mermaid, is fast approaching. 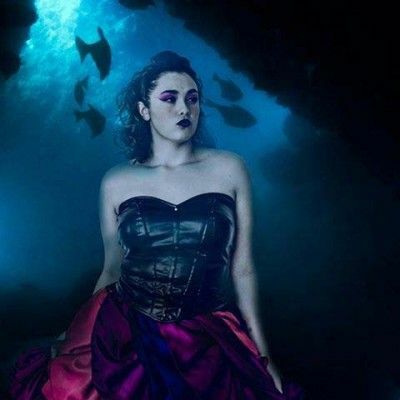 One of the main characters, Michelle Mooney, Year 11 who plays Ursula, the sea witch with a vendetta, has participated in 6 school productions and 4 others out of school. Michelle’s favourite part of the show is when Ariel goes to meet Scuttle and he sings “Human Stuff,” although it is not one of the scenes she is in. Michelle says that Ursula is a great character to play because of her ‘sassiness’ and is sure the audience will like her too. Thomas Howe in Year 10 is happy to be playing the character of Prince Eric in this year’s production of The Little Mermaid Jr. Tom enjoys singing and performing in drama productions and musicals as well as singing in the College choirs and performing solos. He has been inspired and encouraged by seeing The Lion King on Broadway in New York and Billy Elliott on The West End in London. Thomas has been in every musical since starting at Pedare in Reception (6 in total). Starting in the choruses then as a cast member in Year 4, as The King in Cinderella and Rockafella to now the lead male character of Prince Eric in The Little Mermaid Jr. Thomas is sure everyone who sees the show will enjoy it and encourages all to come along. 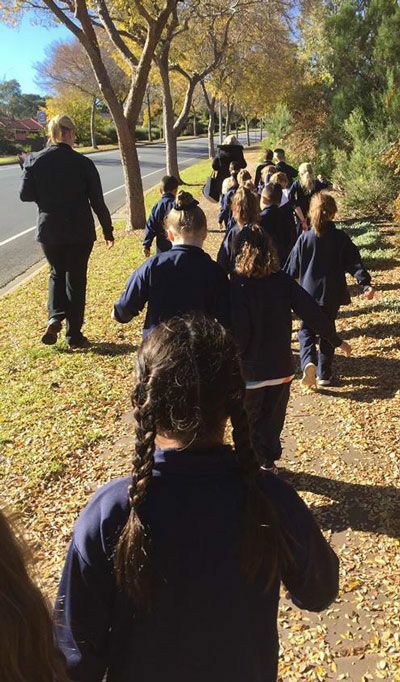 On Tuesday 20 June, Year 1s headed off for a Landscape observation walk to Cobbler Creek. 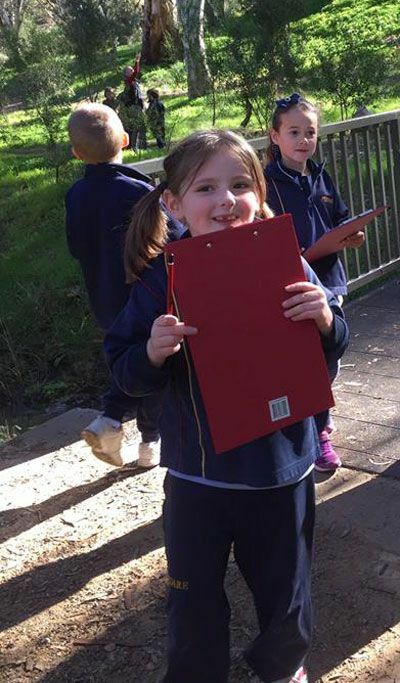 We had many wonderful helpers who supported the children in observing the natural, constructed and managed environment. On arrival, we divided into groups and walked around the park, creek and over the bridges looking at the beautiful surroundings. We saw lots of different types of parrots, trees and built structures. We discussed and categorised them with the help of our group leaders. Natalie – “It was really good and I enjoyed it. I saw lots of natural things and only a couple of managed things. There were more built things than managed things”. 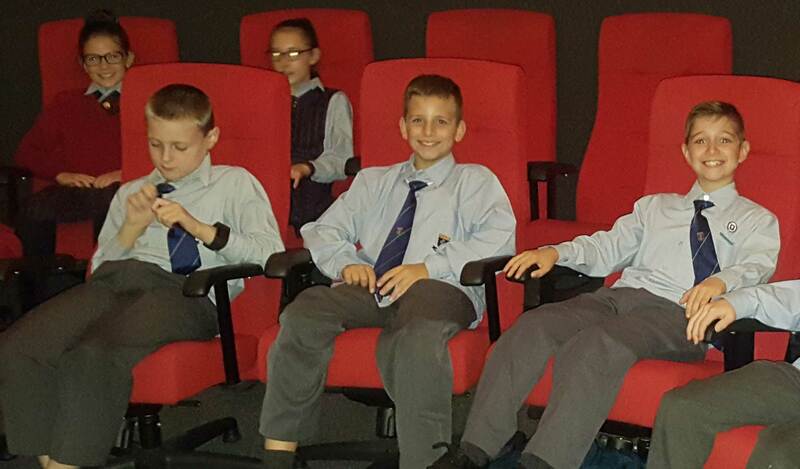 On Wednesday 31 May, Year 5s went to the Adelaide Planetarium where they learnt about the stars and planets in the dome room and acted out different scenarios that involved being stranded in space or discovering new life and new civilisations, to boldly go…. When the second class went into the dome, they looked at the stars at different times of night and saw Delphinus, Scorpius and Orion (the constellations) and how Greek mythology tells stories of how and why they were formed. They also saw some of the planets such as Jupiter and Saturn. It was very realistic and some of the students actually felt slightly more tired as the sky became darker. Year 5s then watched a movie on how the Moon and Sun affect the seasons of the year (all shown on the dome roof). Students learnt that as the Earth spins on an axis while it orbits the Sun it creates the seasons of the year. 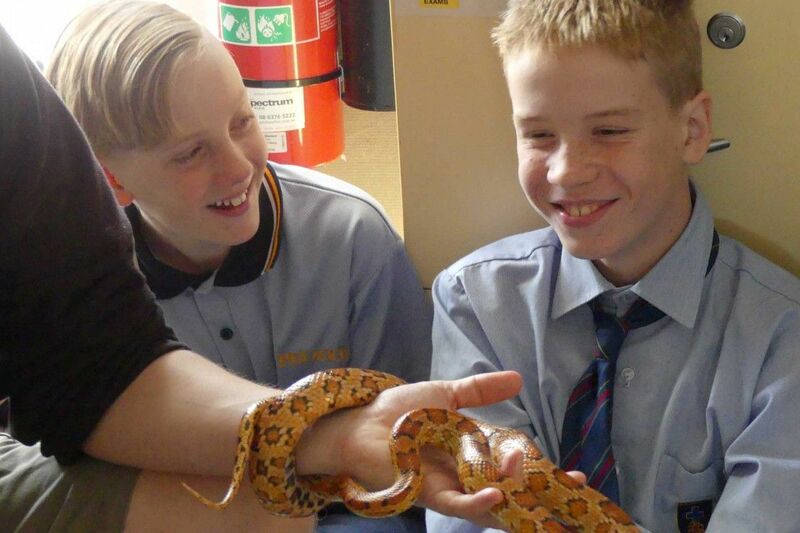 On Tuesday 13 June, the Year 6 cohort were visited by the Zoo Mobile, an educational initiative run by the Adelaide Zoo that aims to promote awareness about the many species of animals in our native environment and allows students to get up close and personal with these animals. This is the second year the Zoo Mobile has visited Pedare, bringing with them a selection of animals which possess a range of natural adaptions to aid their survival in the environment. 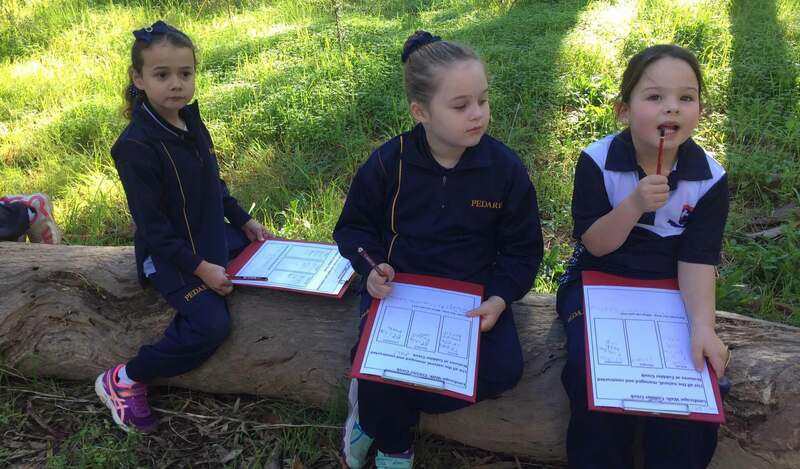 Adaptions are an important aspect of the Year 6 Science Curriculum in Term 2, with students learning about plant life by growing their own plants, changing environments and developing an understanding of how animals survive in the wild using adaptions which have changed over time. 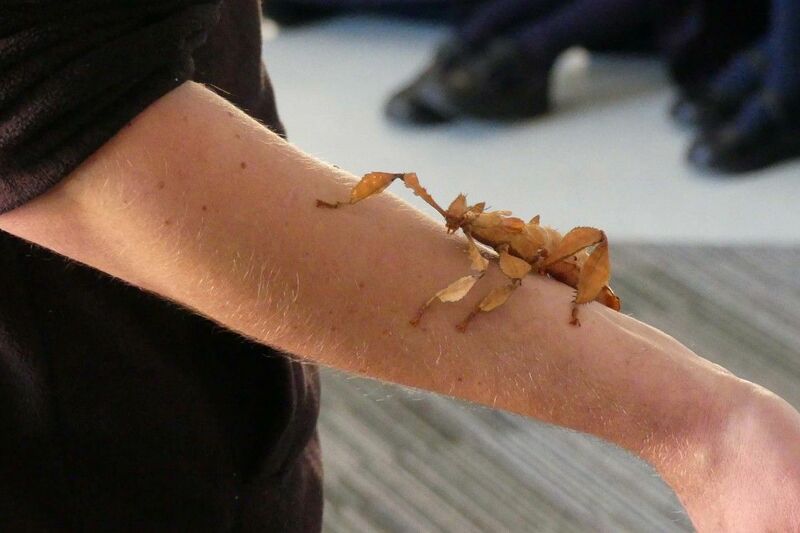 This incursion was a chance for students to see some of the adaptions of the Quokka, Tawny Frogmouth, Corn Snake and Green Stick Insect in real life and hear how these animals have developed them. Thank you to Chad from Adelaide Zoo did an excellent job presenting both sessions. Students and staff will welcome him and his fury, feathery and scaley friends back next year. 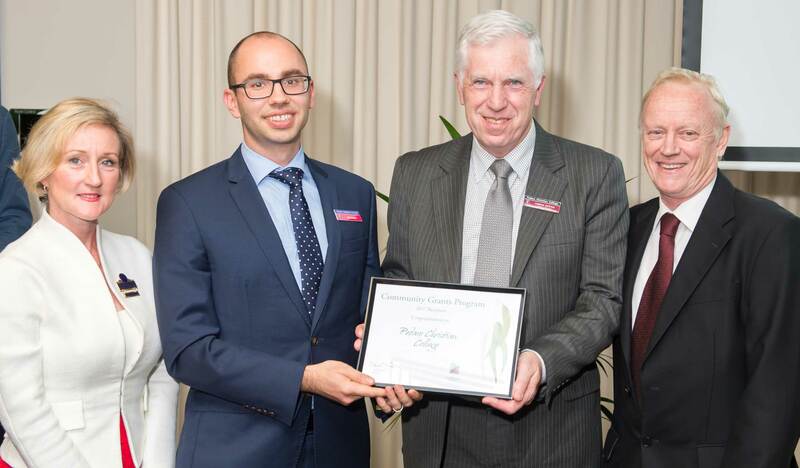 A Tea Tree Gully Community Environmental grant continues to extend Pedare’s Aquaponics Project. The Aquaponics project was identified as an exciting practical authentic way to explain student learning and understanding of various scientific topics and is designed to engage the local community through education on sustainable food production and water management. 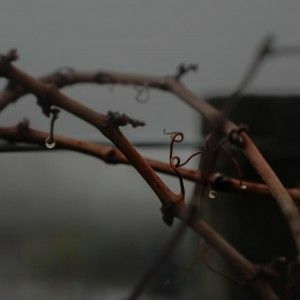 The eco-system created has the ability to both provide protein via fish and organic vegetables grown in nutrient rich water with the practice of farming substantially reducing the use of water. Students learn through a hands-on approach that contextualises science and biology taught at Pedare. pH testing as an example is ongoing as students make comparisons on how plant growth and the organic clay medium effects the changing levels. There are currently 30 silver perch growing and two grow beds available for students to conduct numerous experiments on. Over time other curriculum areas such as digital technologies will be come involved to provide a live web cam experience, data tracking and robotic automation to the setup. The grant proceeds will be used to purchase new equipment to better help us monitor the setup. 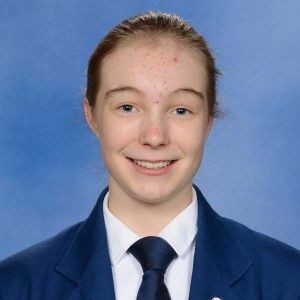 On Wednesday 14 June, Paige Burton, Australia’s Youth Delegate to the United Nations spoke with the Year 8 students to gain an insight into issues that they are passionate about. Paige explored a strategy to help students define an issue, create a solution and identify who in the community would be most influential to help them achieve a positive outcome. Students were then given the opportunity to voice their greatest concerns, which Paige will take to the United Nation’s General Assembly in New York later in the year. It was great to see our Year 8s thinking outside the box and articulating their concerns about the world in a mature and creative way. We hope they will be able to use this thinking as they create their own United Nation’s speeches next week. 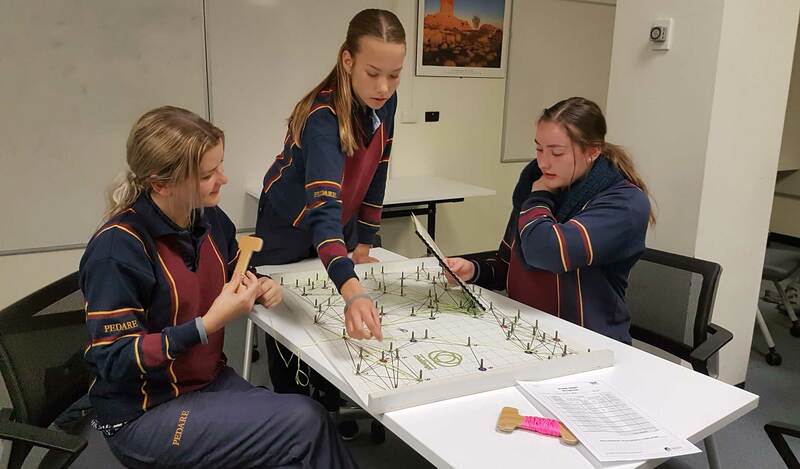 On Wednesday 14 June, twenty-nine Year 9 students attended The Science and Engineering Challenge conducted by the University of Newcastle at Uni SA, Mawson Lakes. 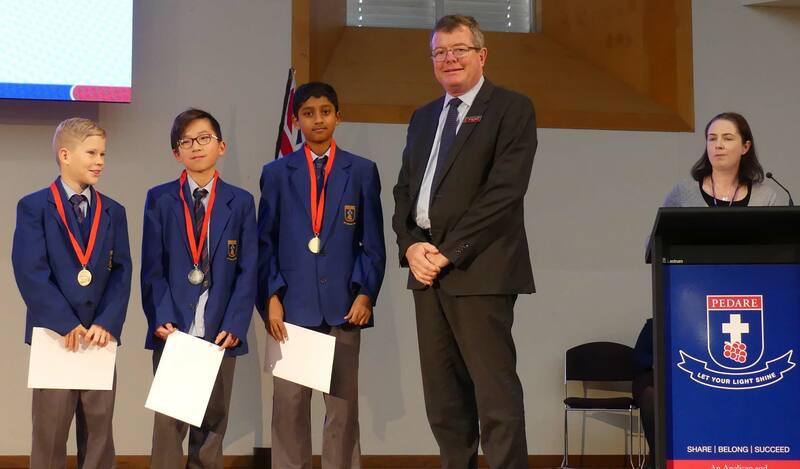 It was one of eight days of competition held across South Australia with the winners of each day moving on to the State Challenge and possibly the National Challenge. Pedare competed against seven other local secondary schools in teams of four, with each undertaking a different activity related to Science and Engineering. The teams were awarded points for their level of achievement on the activity that were added to the school’s total score. The tasks included building a vehicle that could move easily across the surface of Mars, creating a lightweight bridge that could hold the greatest load, building an earthquake proof tower from straws and paper, managing the electricity loads of a city, sending messages via optical fibres, designing model furniture, managing rail networks and building a bionic hand using straws and string. To conclude the day, the bridge designs were tested in front of all students and teachers. The audience provided plenty of encouragement as each one was assessed. Pedare’s design performed well, holding the third highest load. Pedare achieved 7th place, although the final scores were very close. As part of the SACE Personal Learning Plan, our Year 10 students spend time on career research. 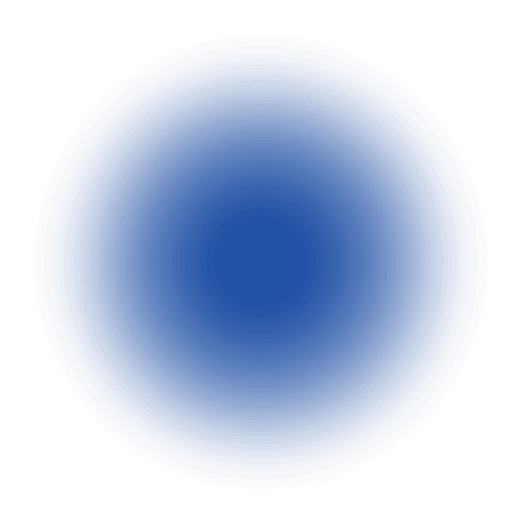 This includes taking surveys to identify their interests and abilities and match them to suitable industries and careers, and attending several presentations to provide them with information to help in their research. One of these presentations is Career Speed Dating, where students, in small groups, ask a series of questions to people from different career backgrounds. 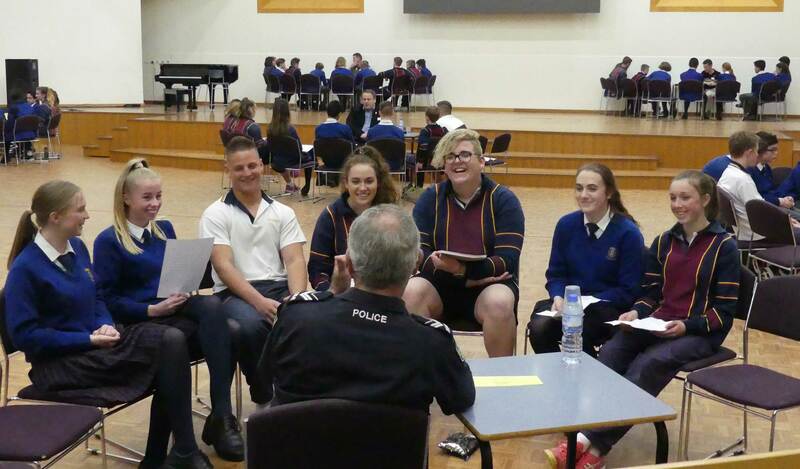 This took place on Wednesday, 7 June, and the Year 10s have since told us they enjoyed the casual format of the afternoon, hearing from people actually doing the jobs and having a range of different career stories to listen to. They liked hearing the positives and pitfalls of the different jobs and heard a very common message from all the presenters, emphasising the importance of following a career pathway that you enjoy! Our presenters all have a connection to the College and this adds a genuine community feel. I would like to sincerely thank the following people who were able to be involved in this event – some having presented for many years, and most, new in 2017. As a requirement of the Business and Enterprise curriculum, students must undertake at least one practical activity. The Year 11 students were given the topic of ‘Innovative Enterprise’ and are required to design, plan and animate a small business which would operate for one day only. The process provided students with a hands-on opportunity to experience the complexities of business planning, market research and strategic marketing. There were 6 businesses created and the products sold were; home-made fidget spinners, ice-cream filled biscuit bowls, toasted cheese sandwiches, honey crackles topped with rocky-road and sherbet bomb lemonade. The event was a success due to the amazing support of the whole student community who patiently waited in queues to purchase the products on offer. 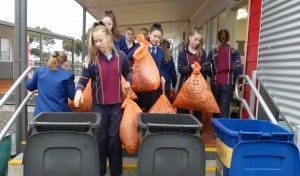 As a result of this success, the Year 11 Business and Enterprise class were able to contribute their combined profits of over $400 to the College’s charities fund. We would like to thank all those involved for making this Enterprise Day such a fantastic learning opportunity for the students. A very successful One+ Careers Expo was held on Wednesday 14 June during the afternoon and evening at the Golden Grove Recreation and Arts Centre. The event brought together employers, tertiary institutions and training organisations, to help guide students in their future career pathways. 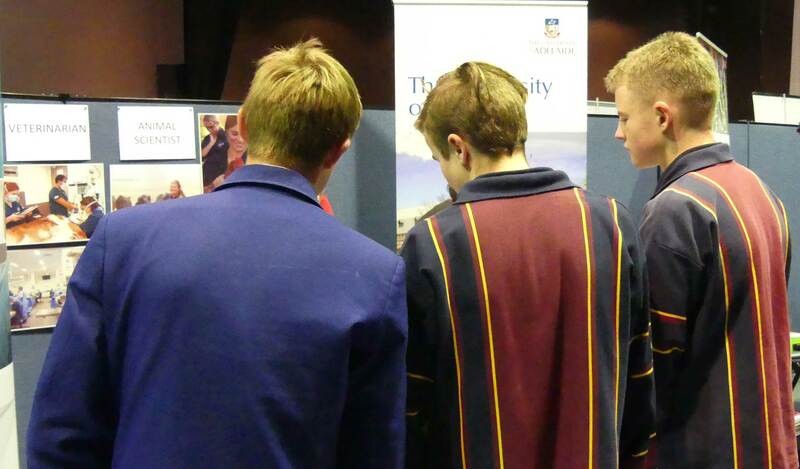 Our Year 10s visited the Expo in the afternoon as part of their Personal Learning Plan (PLP) class. Many of them returned with their parents and siblings for the evening session which allowed our Year 11 and 12 students to also attend. Year 10s were treated to a dynamic talk by our guest speaker, Mr Ivan Neville, from the Federal Government Department of Employment, Canberra, who presented information about local labour markets that will help students to make informed career choices. An expert labour market analyst, Mr Neville provided important facts about national and local workforce trends. This included industry growth areas, the emergence of new jobs, connections between educational attainment and employment outcomes and the impacts of an ageing population. 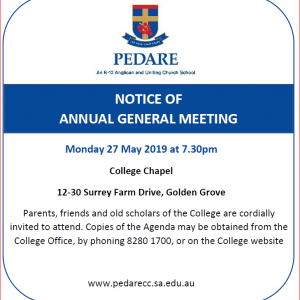 Due to commitments in Canberra, Mr Neville was not able to stay for the evening presentation, which was capably presented by his colleague, Ms Silvia Dunn. 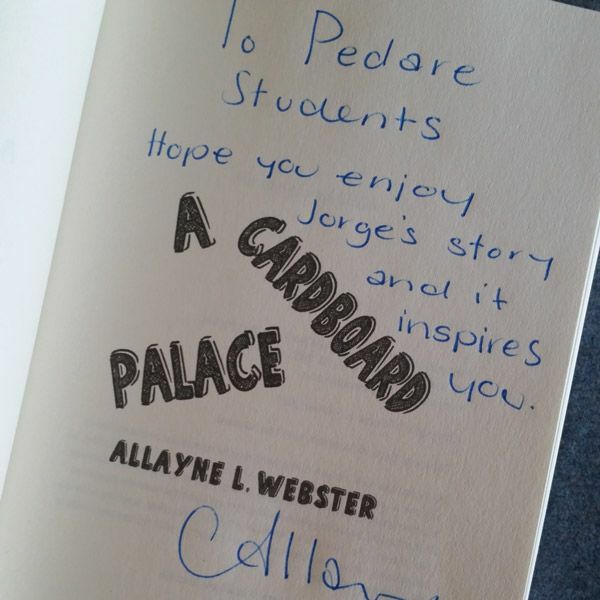 On Sunday 18 June, Ms Allayne Webster, Pedare’s author in Residence, launched her new book, A Cardboard Palace, at the Burnside Community Library. Ms Webster is a local author who has been visiting our students at Pedare for a number of years, to help them develop their writing skills. 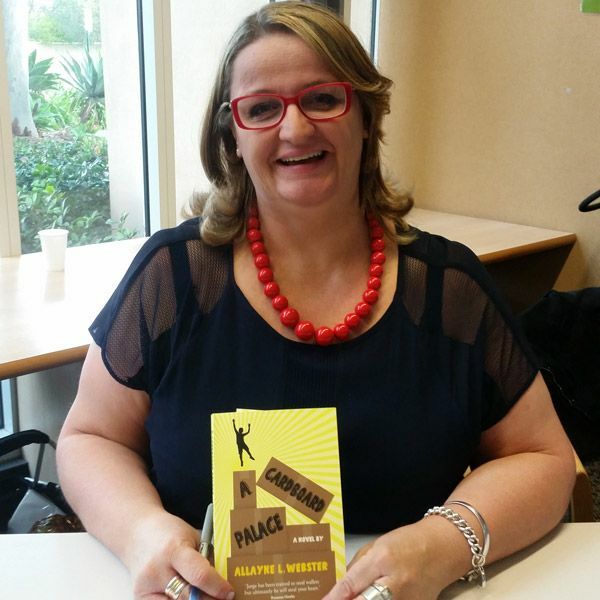 Her new book is the story of 11 year old Jorge, a Romanian boy brought to Paris to be part of a gang of child thieves. Jorge is a sweet, kind and smart boy forced into a horrible situation, who dreams of becoming a chef and leaving his life of crime behind. A copy of the book, signed especially for Pedare students, is now available in the Catford Library. Congratulations to Old Scholar Lochie Hogarth, Class of 2013, whose song ‘Home’ has topped the ranks of the iTunes music charts for being the most played song in the Inspirational category since its release in April this year. Lochie, the Creative Coordinator at Journey Uniting Church, will be performing at the Fearless Youth conference in July at the Golden Grove Recreation Centre and was recently featured in the Advertiser and the New Times – The Voice of Uniting Church SA magazine. On Thursday 15 June, the Year 8/9 Boys Knockout Soccer team played in the first round of the SSSSA competition. The boys played two games, against Modbury High School and Salisbury East High School and came out strong against Modbury, winning the game 10-1. They then backed up against Salisbury East, who were a very strong opposition. Pedare led at half time 1-0, but unfortunately fatigue became a factor in the second half. Salisbury East scored two late goals in the second half and won the game 2-1. All Pedare players represented the College well over the two games. Best players across the two games were Cooper Sutton, Tuan Huynh, Shea Cowan, Ethan Saul and Will Piercey. Thank you to Mr Watson for giving up his time to coach the team. On Thursday 15 June, the Year 6/7 Knockout Soccer team competed against Blair Athol Primary School in the second round of the SAPSASA competition. In the first half, we scored 1 goal and the opposition scored 3 goals. We thought that we had lost it completely but in the second half we came back scoring two goals to make the scores 3-3. We also did all this with only 10 players! As the game finished, the scores were still level so we went to a penalty shootout. Unfortunately, we didn’t win the penalty shootout and we are now out of the competition. It was a great experience to represent Pedare, even though we didn’t get through to the third round. Well done to Ella Hadley who scored three goals and all players played very well. Thank you to Mr Secomb for taking the team and to Ryan Frost and Logan Cornell for being linesman for the game. On Friday 16 June, the Pedare Year 6/7 Girls Netball squad competed in Round 3 of the SAPSASA Knockout competition against Greenwith Primary School. 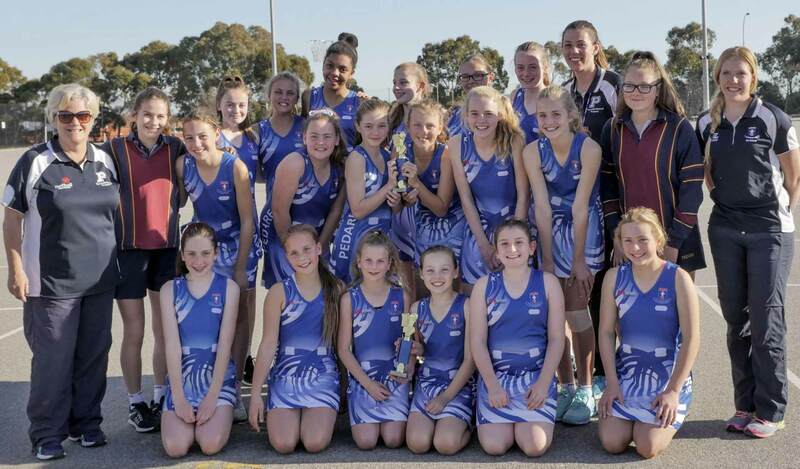 Eight players from the squad were selected to represent Pedare, but all squad members had the opportunity to play in the SAPSASA Tea Tree Gully Carnival on Wednesday 21 June. The girls started the game extremely well and already had a big lead at quarter time. It was great to see the girls practise their set plays and respond positively to feedback. All three goalies shot very well resulting in a great win. Hannah Warne and Hayley Garvin were best players. 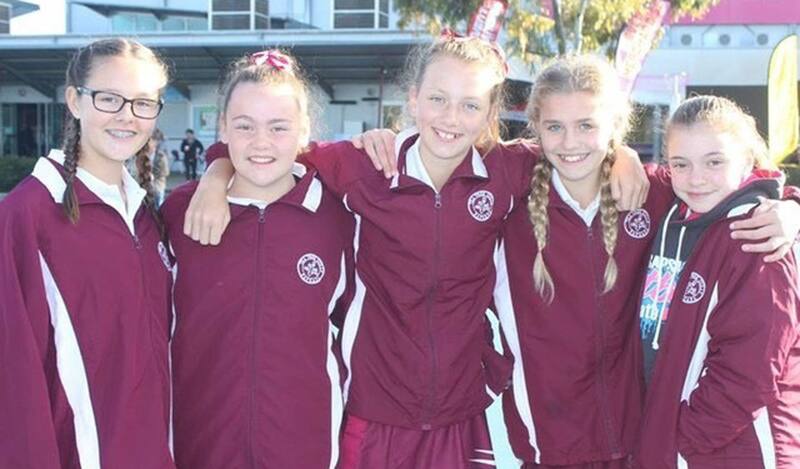 Wednesday 21 June, saw 18 Year 6/7 students participate in the annual Tea Tree Gully SAPSASA District Netball Carnival. This carnival gives girls and boys from the 19 schools in the district the opportunity to participate and learn about netball in a fun environment. The Pedare teams were placed in Division 1 and Division 3, meaning that it was going to be a challenging day. Round 1 saw both teams win comfortably, and set up some good structures for the remaining matches. The Div 1 team had an exceptionally close game against St Frances Xavier and the Div 3 team had two close games out of the 5 they played. At the end of the day, both teams were undefeated and brought home the trophies. All girls played well and listened and responded to feedback effectively. Special mention to Daisy who stepped up into a key role in the Div 1 team and to Onoseje who provided a great target for our Div 3 team. Thanks to Isabella and Sian for umpiring, Teilani and Breanna for assistant coaching and Fiona Themann for the positive encouragement and support of all players and coaches. It was also great to see so many parents out there encouraging their children, coupled with the support from Mr Millard, Mr Jackson and Mr Willis. It is great to see the continued skill development of the girls through Squad training and we appreciate the opportunity to take these skills to the court. The District Hockey State Carnival is held at Grange from Monday 26 June to Friday 30 June, good luck to all students involved. Come and join us. Generators kids club meets Fridays each fortnight for great games, craft and bible time. Our next kids club is on each Friday from 3:30pm-5:00pm. More information can be downloaded from our website. Meets Friday each week at 7:30pm. Come for a great time of games, friendship and bible discussion.